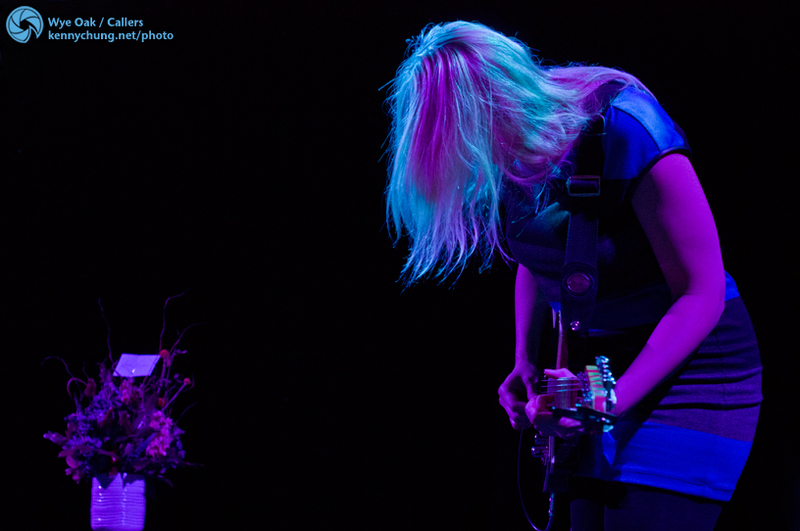 Wye Oak returned to Brooklyn, this time playing a bit larger venue than The Rock Shop. 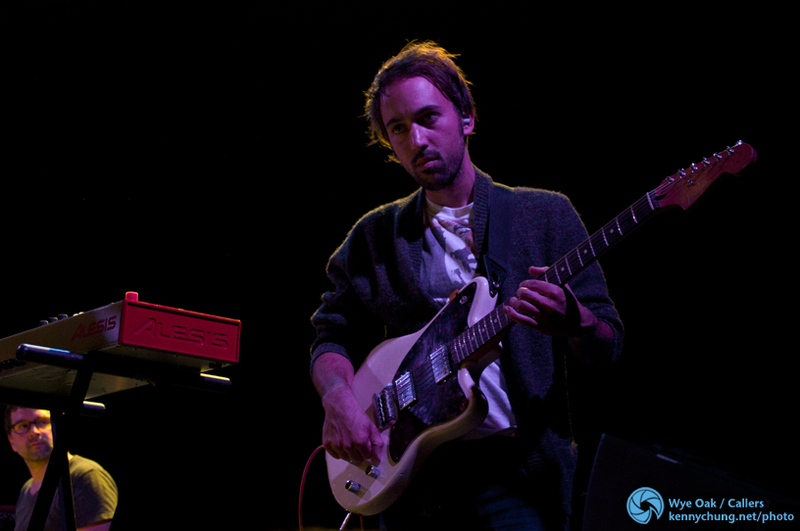 They played most of "Civilian" and also a new track called "Spiral". The surprise of the night was an interesting Papa Roach story. Keep reading for the details. 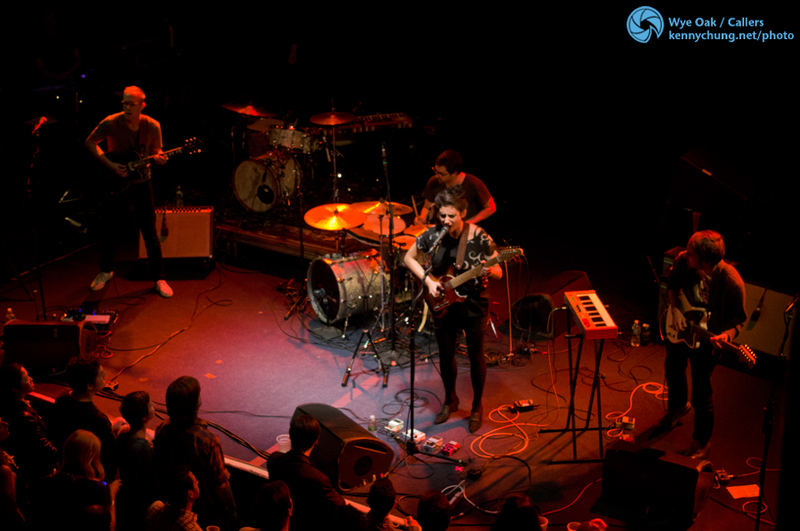 Opening band Callers (from Brooklyn) opened the night with a great set that brought out Jenn from Wye Oak as a guest vocalist. 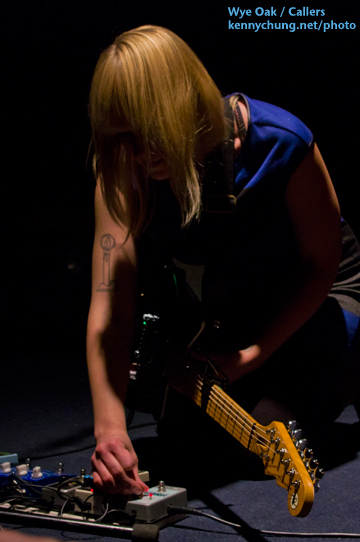 Lead singer and guitarist Sara Lucas of Callers. One of Callers' three guitarists. Interestingly enough, they chose not to have a bass player. 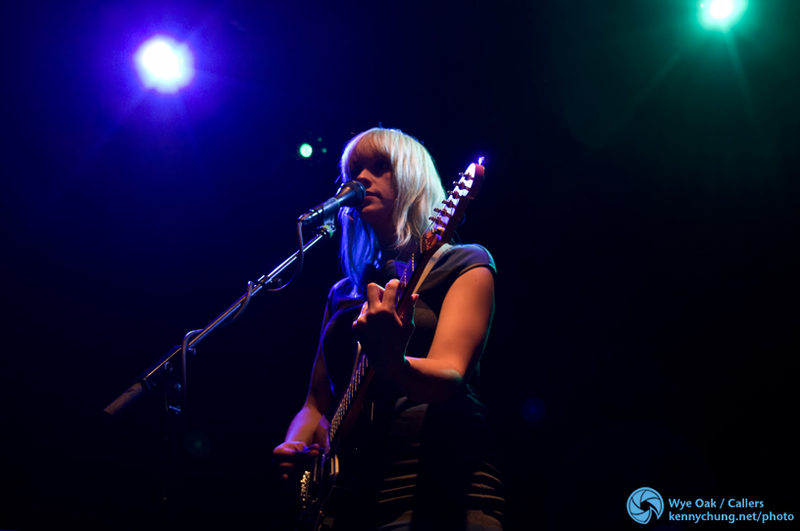 Wye Oak took to the stage next with their sole members Andy Stack and Jenn Wasner. 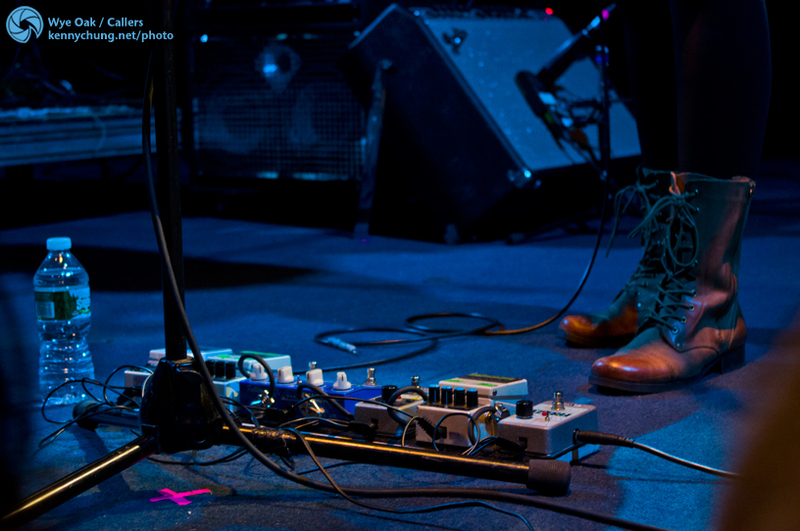 A shot of Jenn Wasner's guitar effect pedal board on stage. 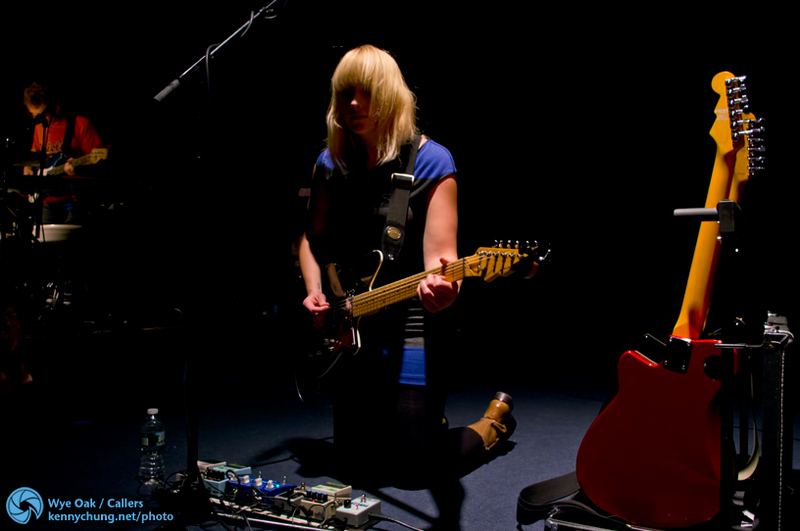 Another shot of Jenn Wasner adjusting her pedals in between songs. 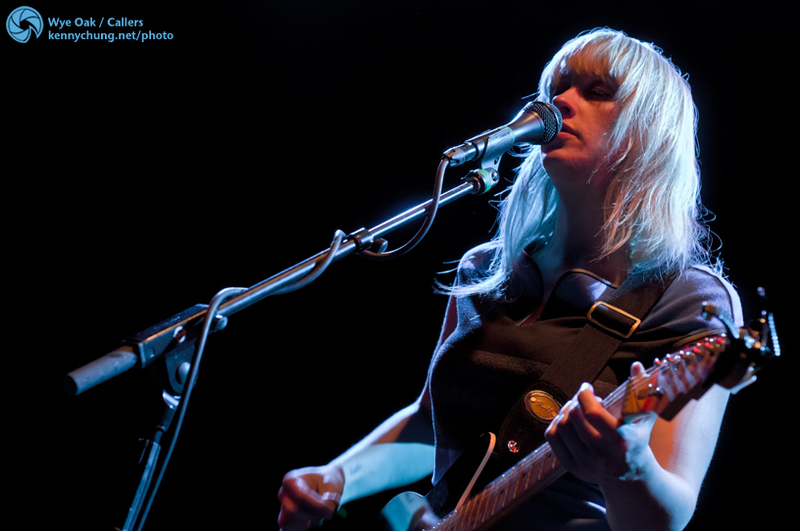 Jenn Wasner singing and playing her Reverend guitar. In between songs, Jenn told us the story of how she did an interview where she was forced to name her least favorite song, and she said Papa Roach's "Scars". 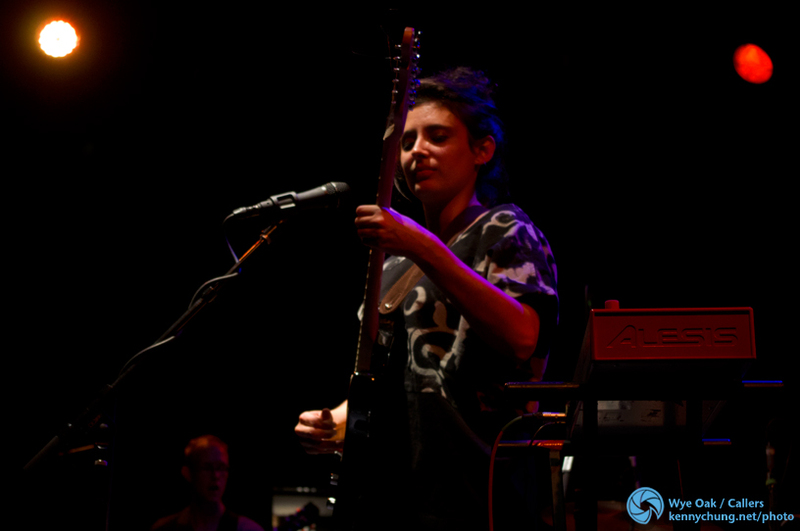 Earlier that night, Jacoby of the band sent flowers to her backstage. Full story here. 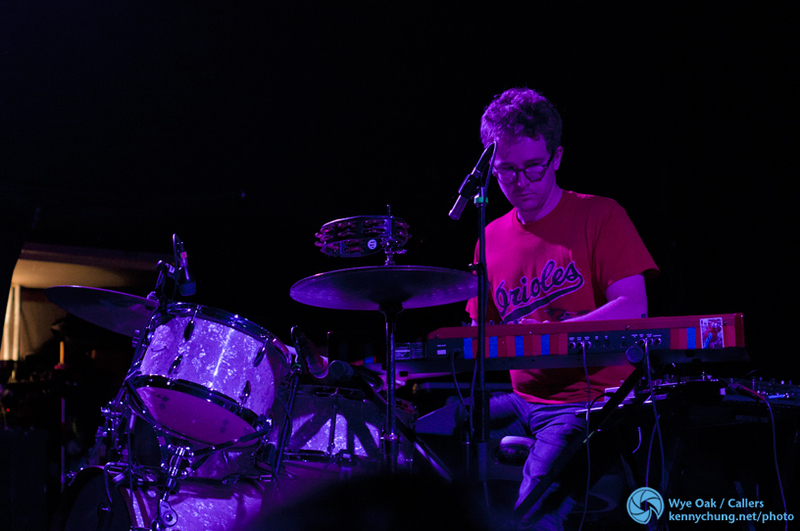 Drummer and synth player Andy Stack, the other half of Wye Oak. 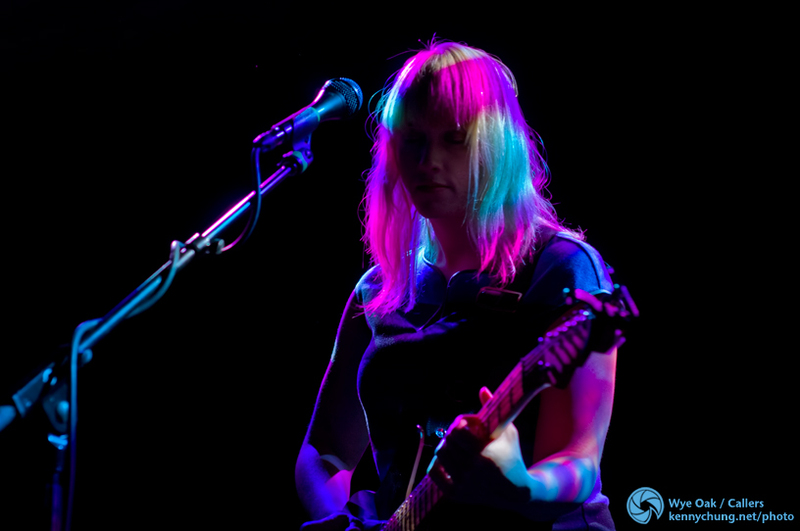 Jenn Wasner at Music Hall of Williamsburg's colorful stage lights. 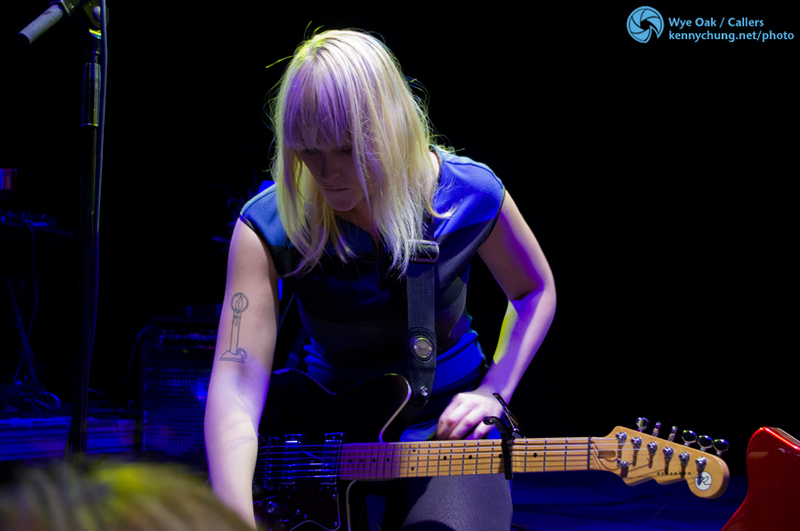 Jenn Wasner back on stage for the encore, playing "For Prayer" from the album "The Knot". You can clearly see her candle tattoo here; I used to think was an NBA championship trophy but then realized Baltimore doesn't have any teams, and also that it would be silly tattoo.